The UK government says it will consider the possibility of introducing extrajudicial 'pirate' site blocking so that rightsholders will not have to go to the High Court every time they want a resource rendered inaccessible. Further work will also take place in the Android and Kodi app arena, to identify ways the supply of infringing content can be disrupted. Around Europe, many governments have expressed a desire to crack down on intellectual property infringement of all kinds. In the UK, efforts are particularly advanced. Over the past couple of years, the Intellectual Property Office (IPO) has produced studies detailing various piracy threats, with the illicit streaming phenomenon taking pole position. In a statement headlined by Minister for Intellectual Property, Sam Gyimah, the IPO first indicates that the number of recent prosecutions against infringers shows that existing law is working. To move things forward, however, fresh measures to further tighten the noose are being considered. Again, the focus is on pirate streaming devices, aka customized ‘Kodi boxes’ and Android hardware pre-configured with apps designed to provide access to infringing content such as subscription TV, premium sports, or the latest films. Using apps or add-ons like these is against the law, the IPO notes, adding that around “one in four” may not be paying for the content they’re watching. “Illegal streaming damages our creative industries. We have always been clear that media streaming devices used to access ‘paid for’ material for free are illegal,” says Minister for Intellectual Property, Sam Gyimah. In 2017, the IPO opened a consultation on illegal streaming devices, the responses to which will be published today. In addition, the IPO notes that it has been working with CrimeStoppers and industry stakeholders to highlight the risks associated with pirate streaming devices while tackling those who seek to commercialize them. 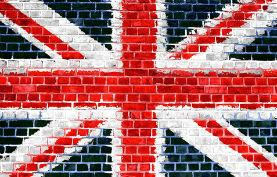 The main point of action appears to be a shift towards streamlining the current site-blocking regime in the UK. Rightsholders currently need to obtain an injunction from the High Court in order to have allegedly-infringing sites blocked by local ISPs. The IPO, however, sees an opportunity to achieve the same goal without intervention from the courts. “Consider the evidence for and potential impact of administrative site blocking (as opposed to requiring a High Court injunction in every case), as well as identifying the mechanisms through which administrative site blocking could be introduced,” the IPO’s first bullet point reads. While blocking content at consumer ISPs’ is one course of action, it’s somewhat akin to locking the stable door once the horse has bolted. Workarounds exist for the more technically minded, so the IPO appears to want to take action against those that facilitate, such as developers of Kodi add-ons and other apps that provide access to infringing content. “Work to identify disruptions that may be applied at other points in the supply chain, for example App developers, and further develop our understanding of the effect of new generation smart TVs on how this infringement occurs,” the IPO adds. In parallel, the government sees value in understanding why people use ‘pirate’ devices in the first place. To that end, research will be undertaken to assess consumer attitudes and motivations behind set-top box use in order to deter future uptake. Finally, the Police Intellectual Property Crime Unit will continue its work in disrupting unlicensed supply to the UK market. The IPO says the unit will “continue to prioritize resources” in this area, taking action against those who encourage infringement through the sale of IPTV boxes and services.